Large Eyes Lycid Beetle - ? 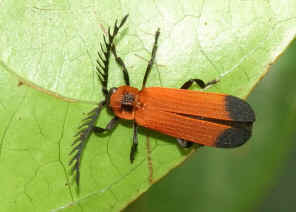 Metriorrhynchus sp. This page contains information and pictures about Large Eyes Lycid Beetles that we found in the Brisbane area, Queensland, Australia. 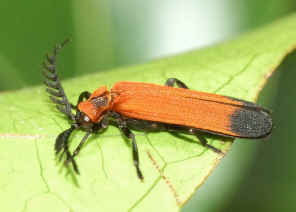 Pictures were taken in Karawatha Forest Dentata Track near a dry creek Nov 2007. 1. A field guide to insects in Australia - By Paul Zborowski and Ross Storey, Reed New Holland, 1996, p120. Last updated: March 20, 2011.